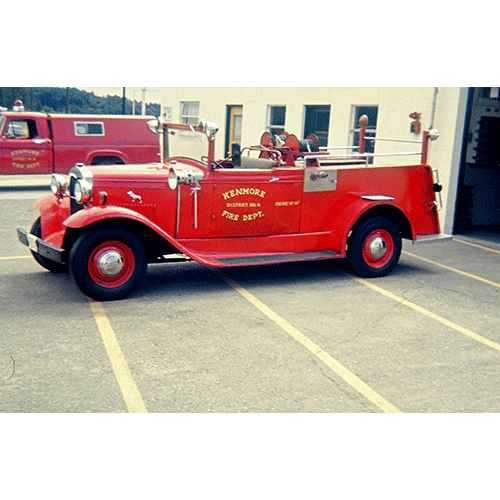 Kenmore volunteer firemen built this custom fire truck to use for special events. The truck frame was a Model A Ford donated by Vic Tvrdy and contained parts from 1929, 1930, and 1931 Model As. 1967 photo by Les Eaton.